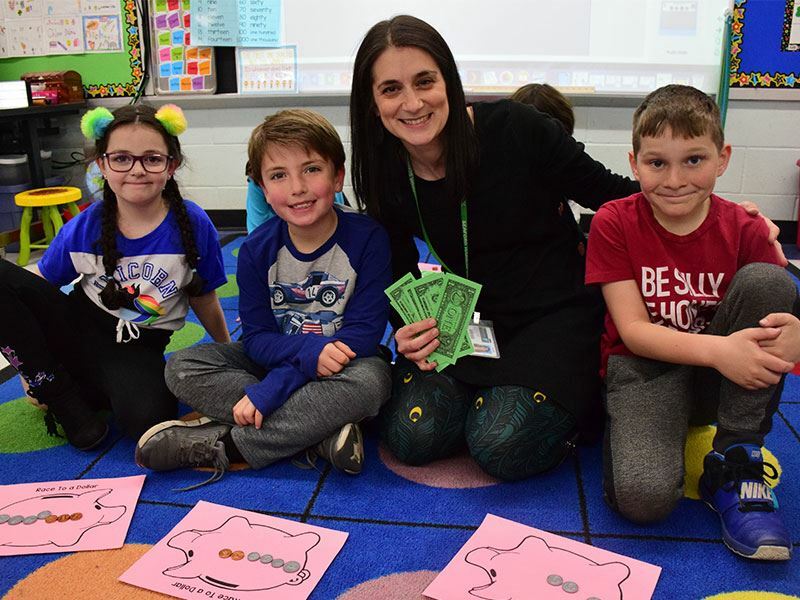 Counting money is an important life skill, and second-graders at Seaford Harbor Elementary School got some practice during a hands-on math lesson. 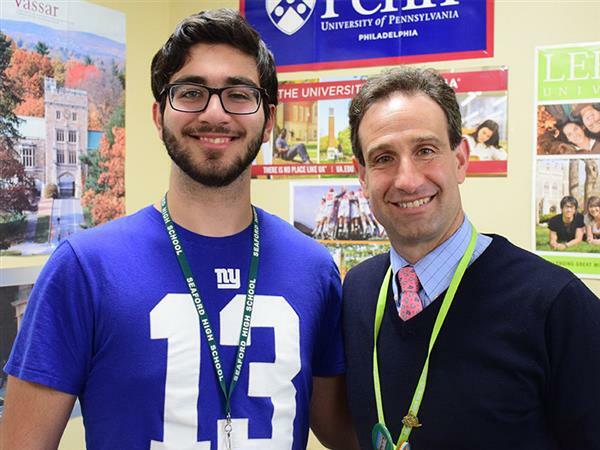 Seaford High School junior Pablo Hashem was invited to participate in the College Board’s National Hispanic Recognition Program. He was selected for his strong academic performance, including a high grade point average and earning a score on the PSAT that placed him among the top 2.5% of Hispanic and Latino students who took the exam in the region. 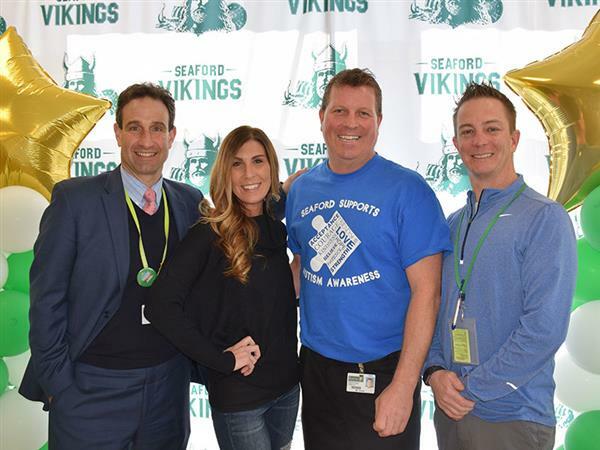 Two Seaford High School coaches were named to Newsday’s All Long Island Team for the winter 2018-19 season. Berto Cerasi was chosen as Coach of the Year in bowling and Lisa Ferrari earned Coach of the Year honors for cheerleading. Don’t stand by and do nothing when evil is happening. 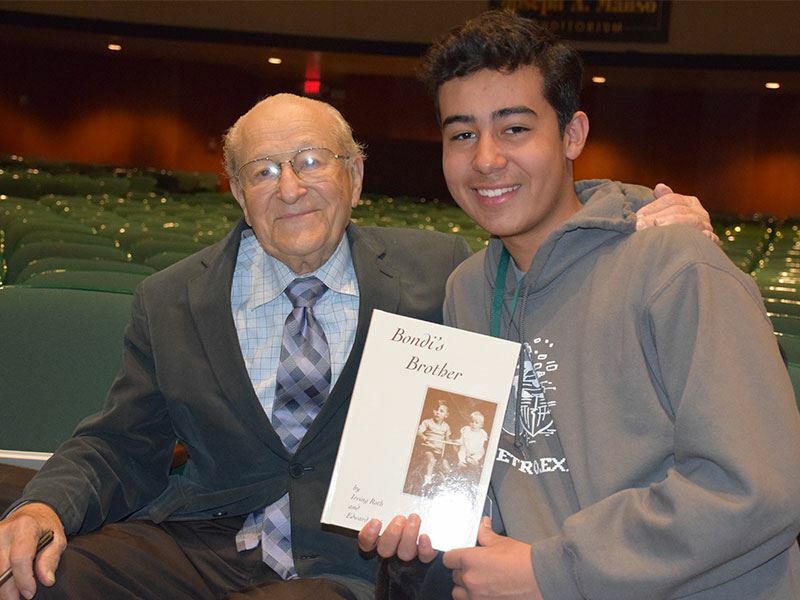 That was the message of Holocaust survivor Irving Roth for Seaford High School sophomores during the annual Holocaust Remembrance Day program on April 2. 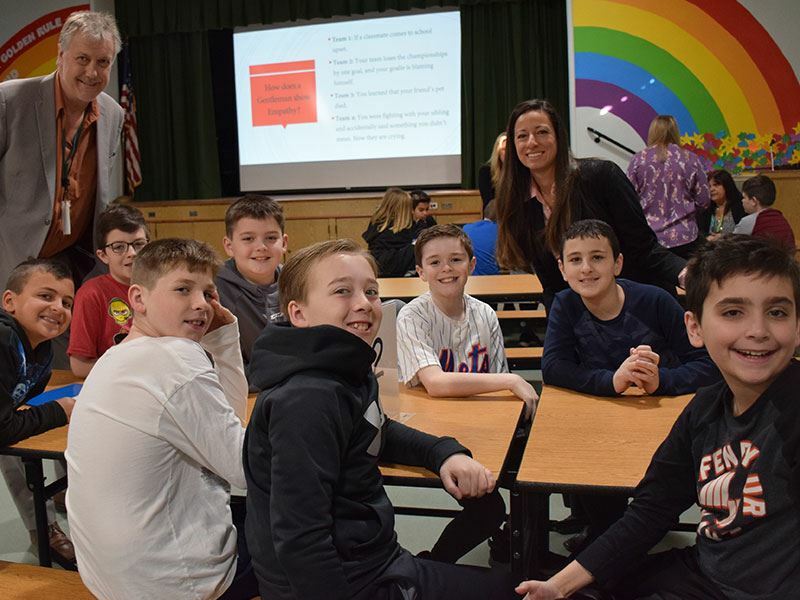 Seaford Manor Elementary School has launched a new self-esteem program for fifth-grade boys to help prepare them for their upcoming transition to middle school. Students participated in three one-hour workshops in March that included discussions and hands-on activities. 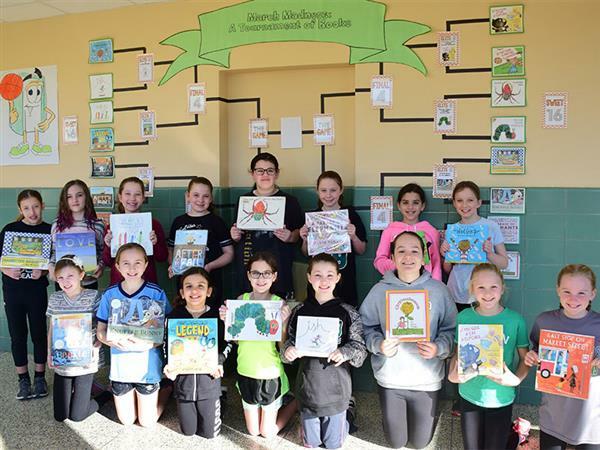 March was an exciting month for students at Seaford Manor Elementary School who selected their favorite book using the March Madness bracket concept. 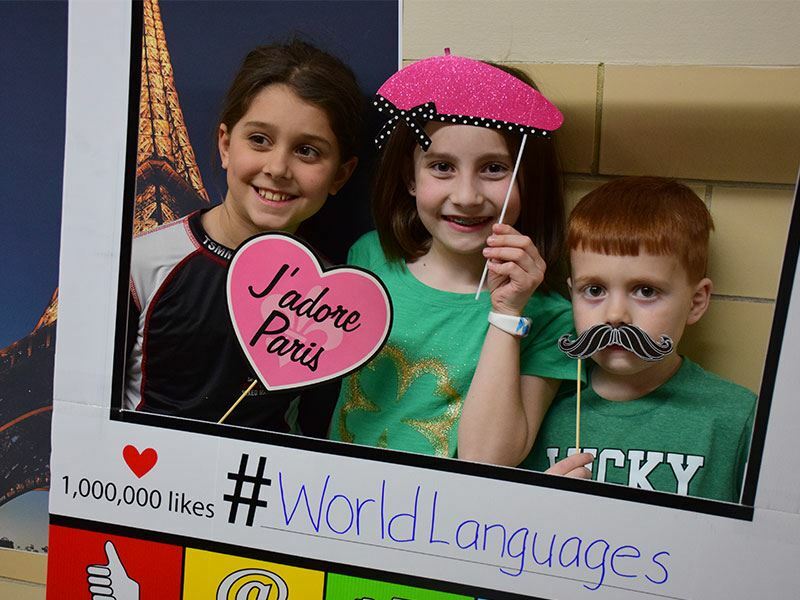 Elementary students in the district were able to explore the world on March 26, and they only had to go as far as Seaford High School.